An often-quoted figure of Gartner says that “6.4 Billion Connected “Things” Will Be in Use in 2016” and use cases are far too many to be outlined in any one document. The rapid digitization of business processes and the attendant innovations spur new business models through outcome, reduced risk and metered usage. Industries across segments adopting IoT and business models are changing fundamentally from that. Tools like Nest and Amazon Alexa interact with us, takes data about the home environment and programs themselves to operate efficiently within the context of that information. This technical framework provides energy providers with the connectivity to better manage the energy grid. The automotive industry is being disrupted with development in the area of sensors, traditional car manufacturers are no longer competing within themselves but entities like Google, Apple and Uber are bringing about disruption in this industry. In the traditional paradigm designing automated applications into vehicles to provide maintenance monitoring, fuel and mileage management, driver security and other capabilities cost little to integrate but have significant earning potential. The addition of a cloud-based server to analyze the data and automatically act on it—scheduling a maintenance appointment at the appropriate time, for example; would move this further in the direction of the IoT. An already existing use case in Telematics is another example of this. Unlike the use cases mentioned above one of the domains where IoT has the potential of transforming lives is healthcare. Enabling healthcare providers remote access to patient data, building platforms that can generate alerts on patient condition etc. The implications of IoT in healthcare are opening uncharted territories empowering individuals and healthcare service providers give “the right care for the right person at the right time”, which leads to better outcomes and improvement in satisfaction; making health-care cost-effective. The need to increase operational efficiency: i.e., preventive maintenance of devices, remote diagnostics and software upgrades, etc. The ability to innovate digitally: i.e., the need to digitally communicate vitals and device information. The creation of industry ecosystems: i.e., the ability to link devices and systems together –implants, wearables, diagnostics, monitoring devices, health records, etc. The emergence of the IoT: How is it happening? Advances in sensor and connectivity technology is allowing devices to collect, record and analyze data which was not possible before. In healthcare, this means being able to collect patient data over time which can be used to help enable preventive care, allow prompt diagnosis of acute complications and promote understanding of how a therapy (usually pharmacological) is helping improve a patient’s parameters. The ability of devices to capture data predictively; removes the limitations of human intervention—automatically capturing the data healthcare professionals need, at the time and in the way, they need it. Hospitalized patients requiring close attention could be constantly monitored using IoT-driven, non-invasive monitoring. This type of solution employs sensors to collect comprehensive physiological information and uses gateways to share the data with a cloud based solution to analyze and store the information and then trigger alerts to caregivers for further analysis and review. It replaces the process of a health professional come by at regular intervals to check the patient’s vital signs, instead providing a continuous automated flow of information. There are people all over the world whose health may suffer because they don’t have ready access to effective health monitoring. But small, powerful wireless solutions connected through the IoT are now making it possible for monitoring to come to these patients instead of vice-versa. Telemedicine solutions could be used to securely capture patient health data from a variety of sensors, apply complex algorithms to analyse the data and then share it through wireless connectivity with medical professionals can make appropriate health recommendations. Low-power operation is essential to keep device footprint small and extended battery life. These characteristics helps to make IoT devices as usable as possible. Graphical user interfaces (GUIs) improve usability by enabling display devices to deliver a great deal of information in vivid detail and by making it easy to access information. Reliability of sensors plays an important part in Healthcare IoT. Unlike other industries which have a degree of fault tolerance. In the healthcare domain, there is no room for error. Manufacturers like Honeywell and Freescale have developed some robust solutions in this area but in smaller scale entities further work needs to be done. Security and sanctity of information is another aspect that plays a critical role. When, the patient data is being transferred through multiple systems it’s important that this information is secure. 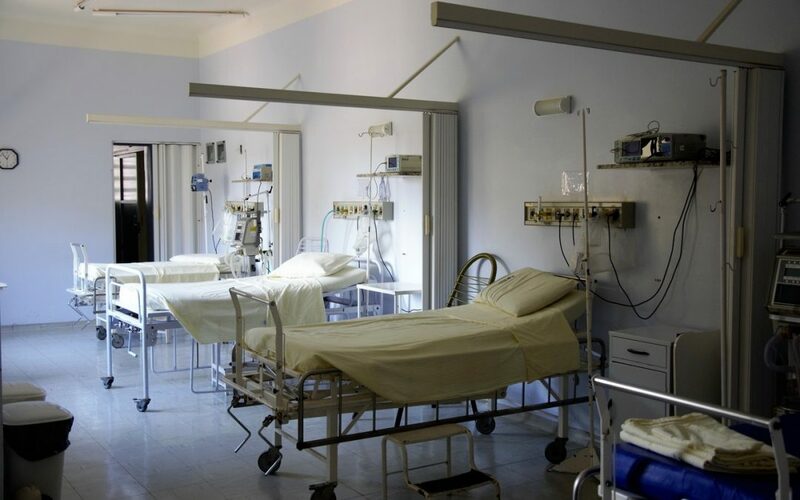 FDA and similar norms are ensuring this, but these solutions again should be made more secure, reliable and fault tolerant as seen in the recent example of ‘Wannacry’ malware attack in UK hospitals is an instance of vulnerability. The complexity of IoT in healthcare is from a wide spectrum of medical devices using different data communication protocols. The recent example of Huawei and Ericsson not being able to agree to NB-IOT standards is just an indication. We expect interoperability between devices will improve as integration standards become stronger. Privacy in the changed paradigm also needs be addressed and entities like U.S. Federal Drug Administration (FDA) are leading the path in providing guidance for managing cybersecurity in medical devices.